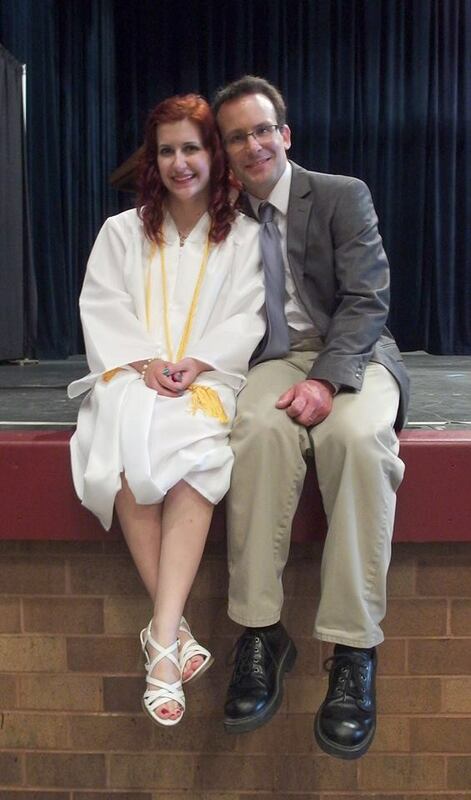 My daughter graduated from high school this weekend. I’m incredibly proud of who she is. We both attended the same school system grades 1 through 12, which made for a lot of flashbacks for me, and a lot of stories I’m sure she tired of hearing. Here we are sitting on the same Canton Civic Center stage I walked across during my graduation in 1989.